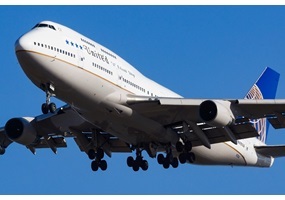 Home > Opinions > Places-Travel > Should they continue to build Boeing 747? Should they continue to build Boeing 747? American Airlines once offered a lifelong unlimited first class ticket for $350K. There were 64 purchased, and they were used by the passengers far more than expected. Should the CEO have been fired? Airlines charge by weight: Should people pay more for an airline ticket if they are overweight? Is North India Better than South India? Scottish independence: Would independence have positive regional effects? New device seizes prepaid card funds in Oklahoma: Would you avoid travelling to Oklahoma because of this device? Should Silesia diversify its economy to include tourism and health care in addition to mining, manufacturing and agriculture? NASA discovers 715 new planets. Will humans ever travel to other inhabitable planets?